Having tested many of the larger capacity LAMS options the little single-stroke 286cc Honda machines have to compete against considerably more powerful and in some cases better spec’d machines, with the CB300F and CBR300R’s great entry level price ensuring it’s still a competitive option. 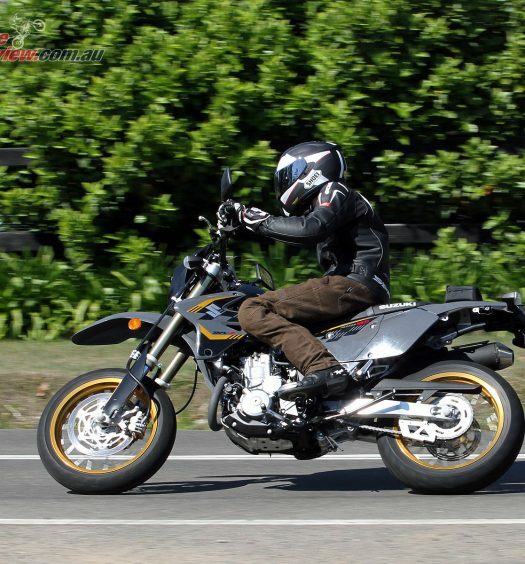 I had the luck to test out the CB300F and its faired sibling, the CBR300R, riding my usual testing grounds, followed by a week of commuting duties and some track riding on the CB300F. The combination of poorly surfaced back roads, freeway and urban traffic was the perfect test to see how the CBR300R and CB300F would handle the regular challenges of most LAMS riders. 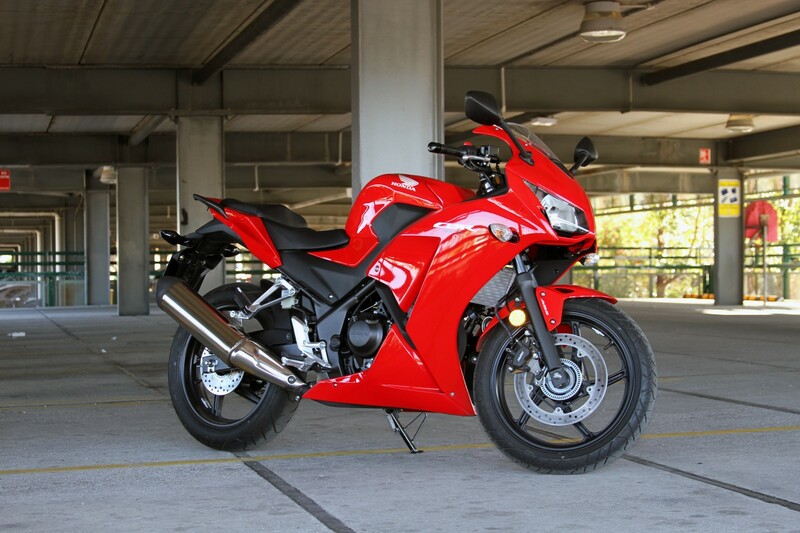 The immediate surprise was just how easy to ride the CBR300R was, not to mention that I was having fun, especially down the freeway really revving the bike out and all without breaking any speed limits. Scouts honour. Comfort was good with the bike feeling small but not overly diminutive for my 180cm height – keeping in mind this was after a good day of riding. I can see larger riders finding the bike a bit cramped however. Reach to the bars is easy and upright, while the pegs and foot controls offer reasonable clearance, good grip and ideal placement. Vision through the mirrors is good as long as you’re not revving too hard, at which point vibrations really affect vision. The faired CBR300R is definitely the pick of the two bikes in my mind with the fairings, especially in red, giving the little LAMS weapon a really sporty image, reminiscent of the CBR1000RR. The single front rotor with twin-piston caliper isn’t the most powerful and the bite isn’t super strong but modulating the brakes is easy and responsive and you’re not likely to grab a handful and get yourself into strife, particularly with the ABS option. 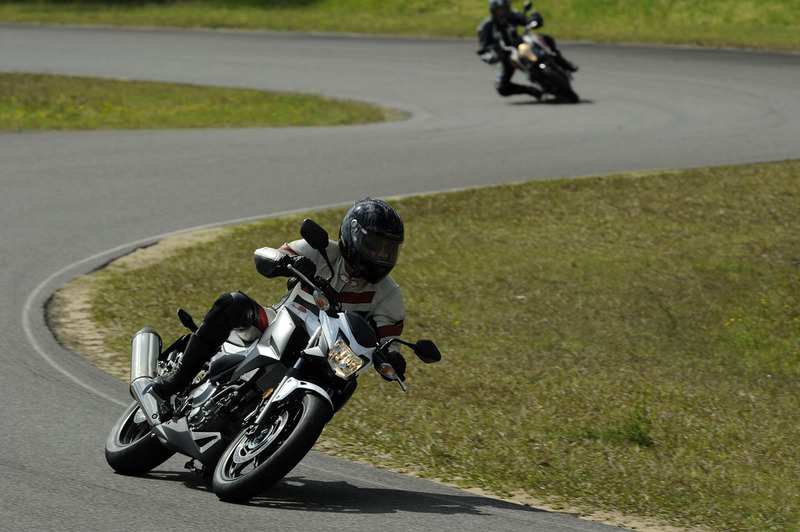 There’s plenty of braking performance there though, in a form that will suit most learners. The rear single-piston unit that grasps a 220mm rotor also provides good control and combined with the front brake, more than enough stopping power. 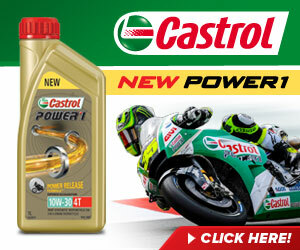 One feature which did stand out, particularly compared to the previous CBR250R last year was the engine performance. Where the 250R was meatier down low I found the 300R more revvy with a more forgiving power curve down low and more performance towards the top end. This power is available via a smooth gearbox, while the final drive ratios have been lengthened to allow less frantic freeway travel than on the 250R. Power is claimed to be up an additional 4.5hp over the 250R as well, with torque similarly increased by 3ft-lbs, with the capacity increased by 36.4cc over the earlier model thanks to a longer stroke. The suspension is relatively simple as you would expect for the CBR300R’s price bracket, with 37mm telescopic forks and a Monoshock damper, with only the shock preload adjustable, which combined with a steel diamond twin-spare frame offer good feel and stability across the vast majority of road conditions. It was only across the really poor sections that the 300R’s rear shock would be overwhelmed at speed – a not uncommon problem on most of the LAMS machines available. The stock exhaust is also a relatively easy on the eyes item, which isn’t too big and is stylish in the polished steel with black end cap. 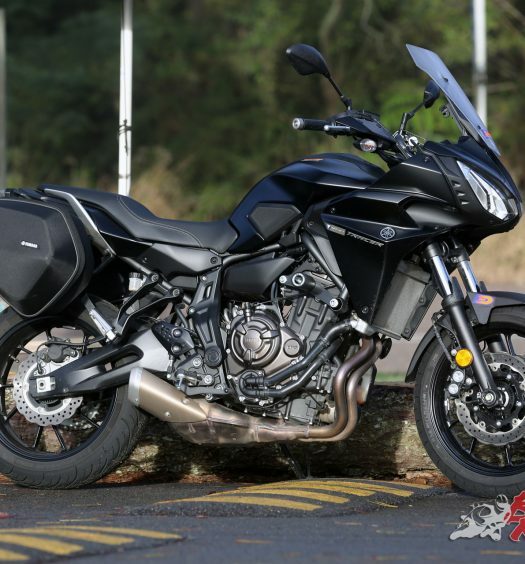 The bike is extremely quiet however – almost to the point of seeming electric! 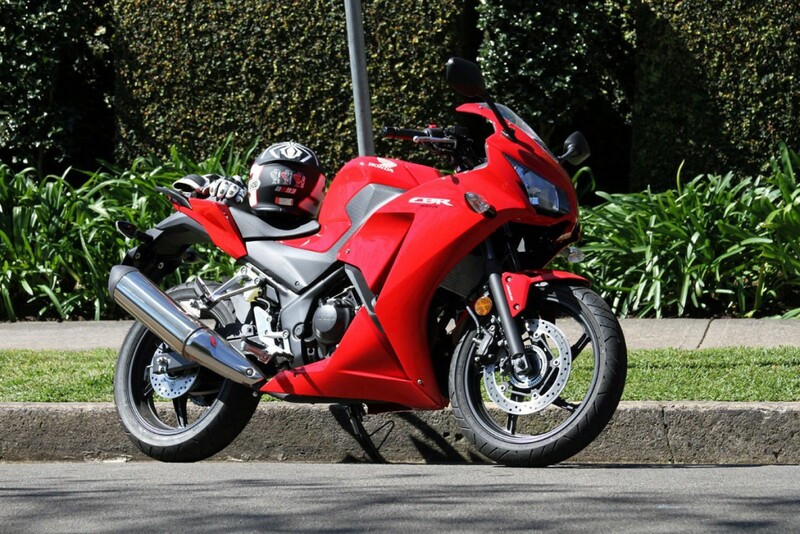 Overall Honda’s CBR300R is a great little machine that is perfect for any LAMS restricted rider, with a great price point, good specs and plenty of go for a variety of Australian conditions. Small and light, the bike is easy to throw around and not at all intimidating, with an easy reach to the ground and unrestricted bike styling. It would even make a great inner city commuter if that’s what you needed and fuel economy is extremely good. 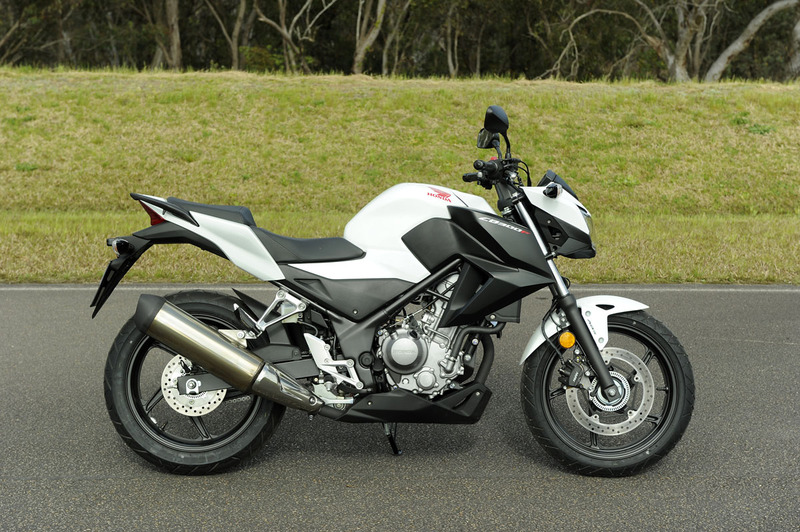 The CB300F shares these traits in nakedbike form, offering less wind protection, a slightly lighter package by 2kg and coming out slightly cheaper by $300 on the road. 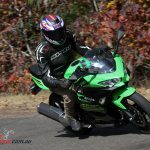 You won’t find the difference between the two bikes significant unless you’re doing plenty of highway miles where the fairings will offer that wind protection, reducing buffeting and fatigue, with looks to be the deciding factor for most buyers. 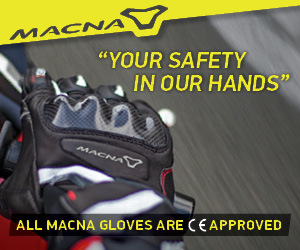 You can’t go wrong with either bike however, as they are the perfect entry-level machine for getting started, with ABS offering some extra security as you learn. How about adding a “comfort” category? Hey Roger, we normally include comfort on touring bikes and similar categories, where extensive time in the saddle, especially in a single day is the norm. With LAMS machines there’s a lot of different factors involved, and it often comes down to the rider’s dimensions (and riding habits). We’ll definitely look to include more on the comfort aspect in future tests though!